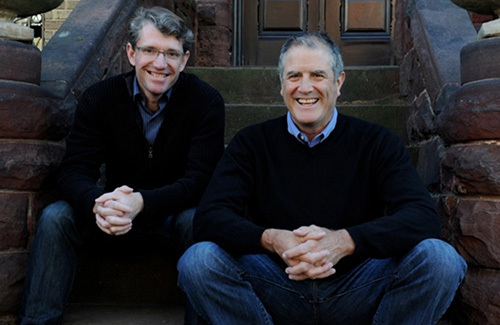 Saltbox co-founders Kevin Winkler and Alan Field have worked together successfully for over fifteen years. They share an affection for the wide variety of housing styles found throughout the Washington DC area. Kevin is a lifelong Washingtonian. He has designed and built over a hundred residential remodeling projects in the region. His far-reaching knowledge of a range of architectural styles lends itself to the smart, detailed, and thorough solutions that have earned him many local and national awards. He has been published in magazines and newspapers ranging from Remodeling Magazine to the Washingtonian. Most recently a Palisades DC kitchen he designed was featured nationwide by Gannett publishing. Numerous projects designed by Winkler have received awards from the National Association of Remodeling Industry (NARI). His design for a complete renovation and addition to a grand craftsman house overlooking the Potomac won a Grand COTY Award from Metro DC NARI in 2011. Kevin Winkler earned his Bachelors and Masters degrees in Architecture from the Tulane School of Architecture. He is a licensed architect residing in Potomac, Maryland with his wife and two children. He is creatively remodeling their family home to meet the family’s needs and his own philosophy of design. Alan has more than 30 years experience in design and construction. Throughout his career he has focused on creating positive relationships between the Architecture and Construction sides of the building process. Alan moved to Washington DC from Boston, Massachusetts in 2001. Over the past 15 years has designed and overseen production of Metro DC projects ranging in scope from the complete exterior restoration of a Dupont Circle historic embassy, to large scale residential additions/renovations to interior kitchen and bath projects. Prior to moving to Washington Alan was owner of Olive Square Kitchens, a custom design/build cabinet shop he founded in 1993. He attended Hampshire College and Tufts University. His design work has won numerous local and national COTY, Chrysalis, and Master Design awards. His projects have been featured in a variety of magazines, including Washingtonian and Home and Design. Alan was a guest on HGTV’s Generation Renovation which featured his contemporary transformation of a Colombia Heights rowhouse. He is a licensed interior designer and lives in Washington DC with his wife and two daughters.